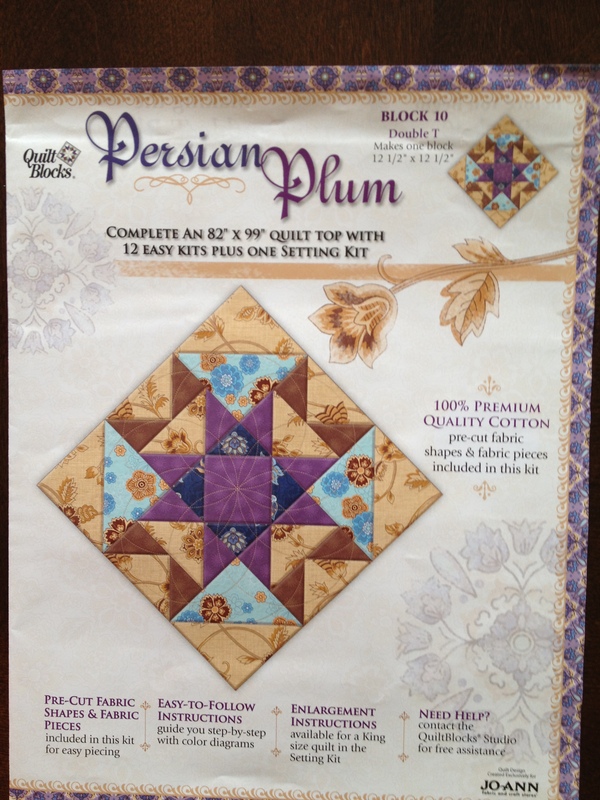 Persian Plum Block 10 had so many little pieces of fabric. It had me thinking how I was going to be able to make a block big enough. Sewing them together I had to make eight flying geese. They were so small and cute, but the fabric is so thick it took a little to get the seams ironed down. 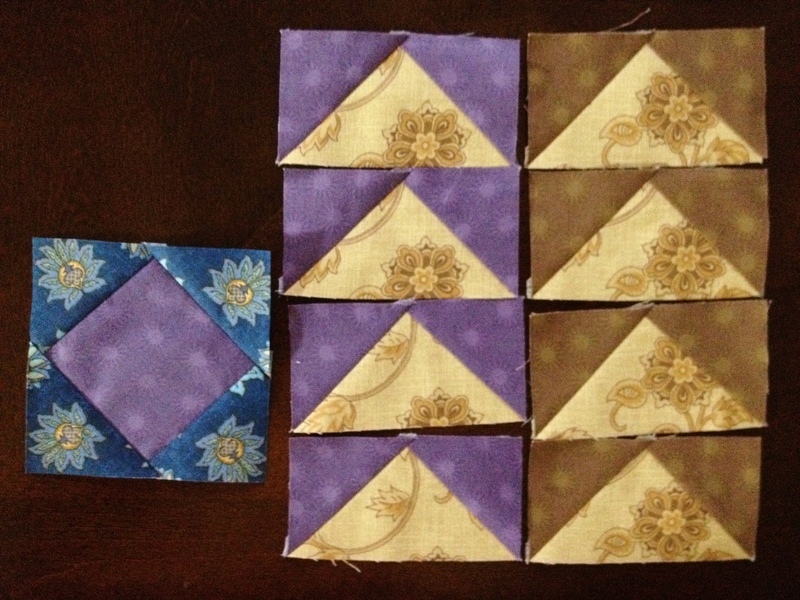 Then sewing everything together the block looked so nice, don’t you agree? I’m working on the Persian Plum quilt too – following your blog now because watching you enjoy yours so much motivates me to get back to my sewing machine 🙂 I just finished a large quilt so I was taking a break until now. 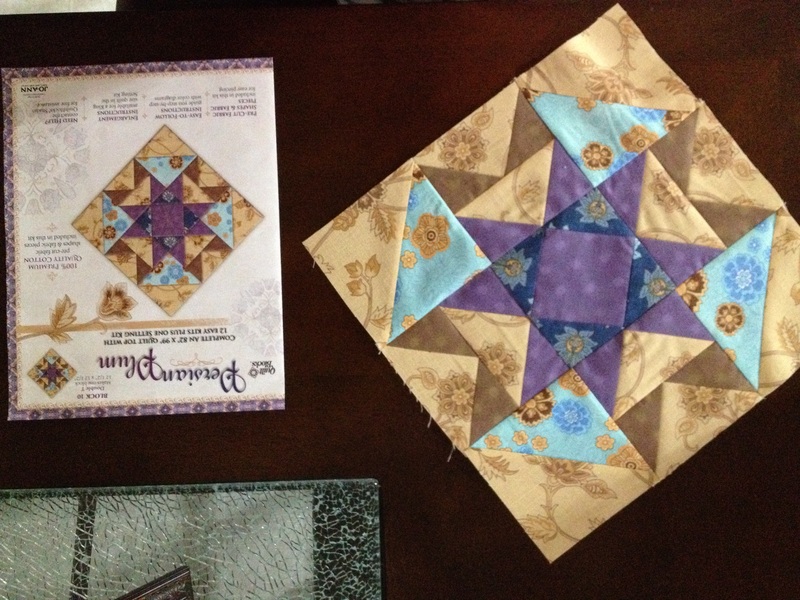 I think this quilt block of the month is beautiful. I have been looking at your finished blocks and they are fantastic. 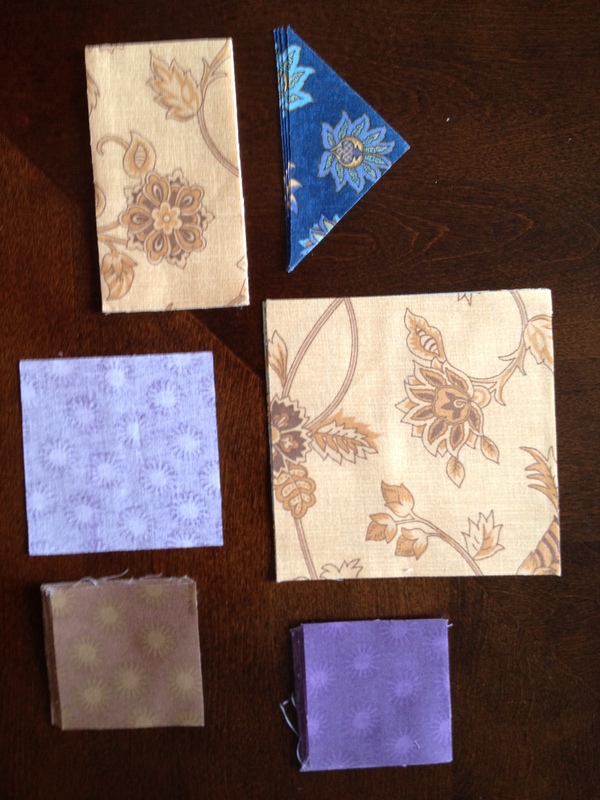 I was not able to find all of the blocks; however, I did find all of the fabric by the yard. I was wondering if you would be willing to e-mail a copy the instructions blocks 1 and blocks 9 to 12, plus the instructions to the setting kit to me or post the sizes for the block in the setting kit as well as a picture of the blocks in the setting kit.